This Fitbit Alta vs Misfit Ray comparison shows, that the Fitbit vs Misfit battle is still ongoing. At the moment of selecting a fitness tracker, the price is usually a determinant factor. When the price difference is considerable, we usually jump into the price range we are willing to pay to narrow the search, with the presumption that higher price would most likely imply more and improved features. The Fitbit Alta and the Misfit Ray activity trackers are within the same price range, with the Fitbit Alta currently being a little bit more expensive (around $30) which is not a huge amount. But let us see what you can find on them and decide if it is worth it or not that difference. First thing checked was battery duration. Misfit wearables have a long lasting battery life. It exceeds that the average of most band trackers, offering an autonomy of up to 6 months, which seems pretty acceptable. Fitbit, on the other side, lasts about five days, but can be quickly recharged via USB, with the charger that comes included in the package. Both smart wearables come in different colors. With black, teal, blue, and plum the Fitbit Alta has more color options. It features an OLED touch screen which is seamlessly integrated into the flat design of the bracelet. 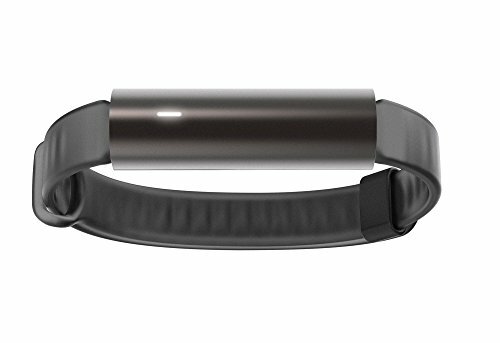 Fitbit’s stainless steel tracker can be easily and quickly attached to varied bands to match your style. You can easily customize your Fitbit selecting among the different options of bracelets. Fitbit bracelets are sold separately. It can match any style depending on the chosen armband. They are made of plastic, metal or leather. Misfit lets you choose between Carbon Black and Rose Gold. The Ray comes as a cylinder that can be mounted on a flat wristband, or be worn as a pendant, or carried within a small pocket, and displays multi-color LED lights. Similar to other Misfit wearables like the Misfit Shine it is made of aircraft-grade anodized aluminum, which makes it highly resistant. Moreover there are plenty of accessories that are compatible with your favorite Misfit device. Personally, I do like the overall design of the Fitbit Alta. It seems that there was more dedication put into it, and the final result is a modern smart wristwatch of simple and flawless lines. The slender tracker was designed to go unnoticed. On the other side, the minimalist tubular Misfit Ray provides much more options on how to wear it, not being limited to be worn on the wrist. This charming fitness tracker comes with an attached spring bar that allows wearing it with any accessory such as necklaces, bracelets, watch straps, belts, and handbags. Both fitness trackers are pretty complete and offer the tracking functions that most trackers do. Both come with calories burned counter, distance counter, a sleep tracker that logs sleep quality and sleep time, and steps counter. The Misfit Ray comes with in-app activity tagging that includes walking, running, walking, swimming, cycling, yoga, basketball, tennis, soccer, and dancing options. The Fitbit Alta comes with the SmartTrack function that automatically recognizes and registers the exercises type. There are many ways to hide or emphasize your Fitbit. We created a list for you to get a overview on the best fitbit accessories and replacement parts. Both wearables provide activity reports and sleep reports. We find the reports are useful tools that provide insight into your daily activities and exercise. This is great to help users monitor their performance and physical activity to set goals, work on them and improve. Sleep reports allow finding out sleeping patterns, useful mainly for those with irregular sleep. Fitbit Alta is water resistant, which is fundamental since practicing any sports or exercise will expose the device to eventual sweat, rain, shower, and splashes. Note that being water resistant does not make them suitable for underwater tracking, only the Misfit Ray is waterproof. Given the ample temperature range they resist, 14F – 113F, which make them suitable to be used while practicing outdoor sports under any weather condition. The Misfit uses LED lights to communicate. It alerts and sends notifications by flashing. A green light will flash when you get a call, and a blue one will indicate you received a text message. If a white light flashes, it will be indicating that you reached your set goal. The advantage of this lighting system is, that it prevents you from looking at the screen, with the risks that a distraction may bring while on the street or doing physical activity. Fitbit’s notifications and alerts are displayed on the OLED display, but a quick glance is enough to view the smart notifications of incoming calls, text messages or calendar. Also, Fitbit allows selecting among a variety of clock formats, and let the user choose from horizontal or vertical designs. Both trackers – by the way – do not offer heart rate functionality. To sum it up, the price difference of the Misfit Ray vs the Fitbit Alta is low. However, within the same price range, we want to make sure to get the most value for our money. And we want the item that suits us the best, or simply the one that we like most. Our conclusion is, that both the Fitbit Alta and the Misfit Ray share similar functions and features. So, their highlights were not put on making them stand out among the competitors because of an innovative functionality. It seems apparent that both manufacturers tried to appeal and please the immense amount of active people that dislike the scarce design of most fitness trackers which were meant to be merely utilitarian gadgets mounted on rubber or silicone wristbands. We are not saying that those typical silicone wristbands are ugly, but they definitely lack the style and fashionable touch that these two can add. 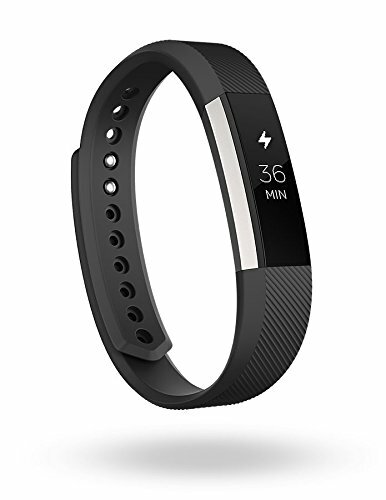 If you want your tracker to slip by and let you keep track of your training inadvertently, without having to carry the label “fitness tracker here”, Fitbit Alta as well as the Misfit Ray could serve your purposes pretty well. Misfit Ray is always on - Never take it off for charging for more data, better insights and stronger motivation. Wear Ray anytime, anywhere - Crafted from aluminum, Ray is water-resistant to 50 meters. Track it all with Ray - Monitor steps taken, distance traveled, calories burned, sleep duration and quality. The Misfit Ray IS fully waterproof (i.e. you can swim wearing it) whereas the Fitbit Alta is just ‘splashproof’.